Granville, IA 51022 This site is ad-free and privately funded. 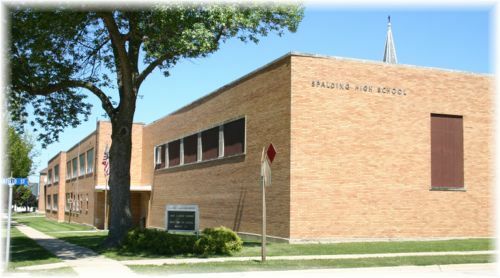 Spalding Catholic opened on September 3, 1962. Three Catholic parishes combined to form the high school. They were St. Mary's Catholic of Alton, St. Anthony's of Hospers, and St. Joseph's of Granville. Select 2007 2006 2005 2004 2003 2002 2001 2000 1999 1998 1997 1996 1995 1994 1993 1992 1991 1990 1989 1988 1987 1985 1976 1975 1974 1973 1966 Add your name!